Our Partners invest in social change. "Doing good is also good for business!" A HUGE "Thank You" to our operational sponsors for their generous support. Without their commitment to StreetSmart SA and professional input, we would not be able to continue our positive impact in local communities. Listed A-Z below - do support them, please. 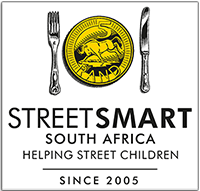 4 Seasons Logistics is sponsoring StreetSmart SA's courier needs since 2012. Baldwin ZA Design has been sponsoring our media design needs since 2006. CNT Graphics has been sponsoring our graphic art needs since 2005. Freeline Screenprint has been sponsoring our screen print needs since 2009. Since 2005, GC Communications has been building the StreetSmart brand via media liaison. BDO Cape Inc has been the auditing consultants for our annual financial statements from 2018. Hilversonne Verifications and Consulting has been sponsoring StreetSmart's BEE verification since 2013. Ilanga Travel has been sponsoring our communication costs since 2009. Kilgetty has been managing our statutory requirements since 2011. Marlene De Villiers Photography has been sponsoring our photographic needs for Western Cape since 2017. MLT CORP has been sponsoring our transport to handover events since 2016. Out of this Planet Catering has been catering at all StreetSmart events since 2008. Securistore has been sponsoring our storage needs since 2016. Since 2006, SitePRO has been the sponsor for our website design, maintenance and hosting. Tandym Print has been sponsoring our printing needs since 2016. TreasuryOne has been sponsoring our office space since 2016. Since 2011, Urbantonic has been sponsoring our catering equiment needs for StreetSmart events. Wellington Wines has been sponsoring wines for our events since 2016. Zoom Advertising has been sponsoring the design and creation of our marketing materials since 2007.